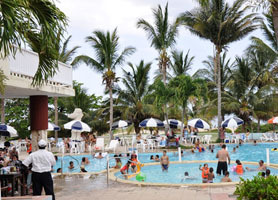 havanahotels has been a member since October 1st 2013, and has created 35 posts from scratch. 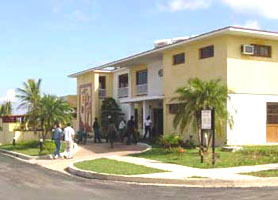 The Hotel Capri is a product of the roaring 50s. 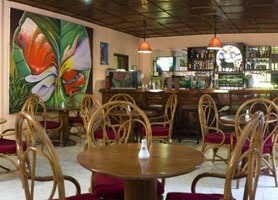 Its art nouveau design and clear 50s character makes a perfect fit for those visiting Havana to reminisce. Located in the heart of Havana’s Vedado district you’re just a stone’s throw from the famous La Rampa, Hotel Nacional and, of course, the famous Havana boardwalk called the Malecon. 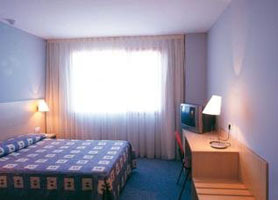 The NH Capri hotel has 220 fully refurbished comfortable guest rooms and suites. All of the elegant rooms feature natural daylight, a welcoming atmosphere and a modernized 1950’s-inspired décor, following the theme of the hotel throughout. Opened again in 2014, the hotel is a real treasure of Havana’s history. Places of interest near the NH Capri hotel include Temple Beth Shalom and the University of Havana. 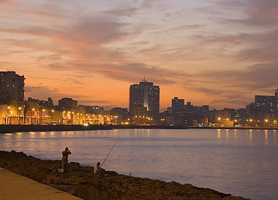 Havana city center is just a 10-minute drive away while a walk to Old Havana is just over 3km and a very pleasurable stroll along the sea-front. 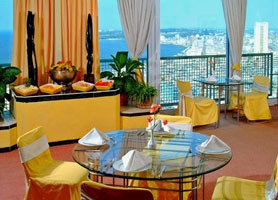 Our booking process is unique because it shows the best rate from all of these for Hotel NH Capri in Havana Cuba and the types of rooms available. 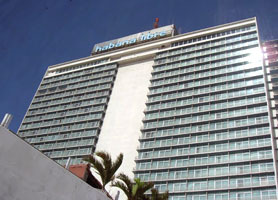 Our Hotel NH Capri Havana rate comparison is an industry first for Cuban Hotels. Once you’ve compared the rates, finalizing the booking at Hotel NH Capri takes just seconds and an immediate confirmation is provided in real-time. 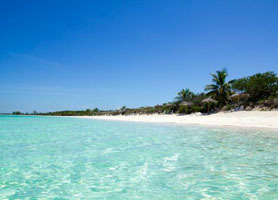 Beautiful beach, Yacht Marina and Entertainment, close enough to Havana for an 80/20 vacation favoring the beach but seeing the city’s sights. 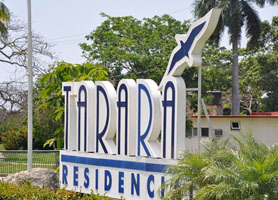 The Villa Armonia Tarara Havana complex is located right next to the Tarara yacht marina and the beach also named Tarara. Technically the start of Playas del Este, the Villa Armonia Tarara Havana is perfect for unwinding and taking advantage of the immense grounds, beach and crystal clear seas. 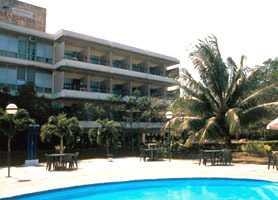 Being located in eastern Havana the Villa Armonia Tarara Havana is jusy a 15-minute drive from downtown Havana and the Old Havana Colonial quarters of the city. 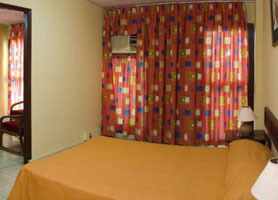 The resort offers individual bungalow villas and also standard rooms in the hotel building. Nightlife in Tarara is excellent due to the extremely popular Tarara discotheque which is frequented by residents of Havana, especially at weekends. During the daytime, guests at Villa Armonia Tarara Havana can sample the many nautical offers available like Catamarans, Canoes, scuba diving and snorkeling. Chilling on the beautiful palm lined beach is also an option for the less active. Overall Villa Armonia Tarara Havana is unique vacation spot because it embraces the beach, has immense lush grounds, is bordered by the yacht marina and yacht club and is just minutes from downtown Havana. 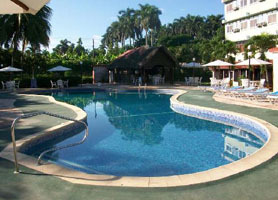 Hotel Villa Armonia Tarara Havana is usually in very high demand and, as such, should be booked in advance. Our booking program allows reservations at Hotel Villa Armonia Tarara without down payment or deposit which will guarantee your dates and also allows preferential modifications should your dates change in the future. 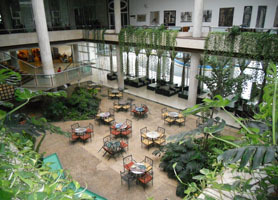 Our booking process is unique because it shows the best rate from all of these for Hotel Villa Armonia Tarara in Havana Cuba and the types of rooms available. 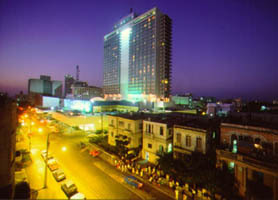 Our Hotel Villa Armonia Tarara Havana rate comparison is an industry first for Cuban Hotels. Once you’ve compared the rates, finalizing the booking at Hotel Villa Armonia Tarara takes just seconds and an immediate confirmation is provided in real-time.